There is a better way to finding the right court reporter for your case. It doesn’t involve vetting dozens of prospects nor calling referral after referral taking you away from more pressing matters at hand. The solution is Discovery Litigation Services. Click to Call Discovery at (855) 847-0999 and let us handle the rest. Discovery Litigation Services gets the most qualified court reporters for your deposition anywhere in Alabama. With a nationwide network of video enabled streaming court reporters, you can be sure you’re getting the highest qualified professional for the job wherever your deposition may be. Let us get you the most qualified court reporter for the job. Our court reporters have experience working with all case sizes. Discovery Litigation Services was created by a seasoned court reporter who knows the gravity of the stenographer’s responsibility and the importance of going the extra mile in satisfying your needs. This is the culture upheld by Discovery Litigation Services and all of its professionals. From court stenography, legal videography, and interpreter services to trial consultants and mediation or arbitration, we will provide you with comprehensive solutions that reduce your workload while maintaining quality allowing you to focus on what’s important. DO YOU NEED MORE THAN A COURT REPORTER? Finding a qualified Alabama court reporter is just one task on the grand agenda. You still need to find a skilled legal videographer who can set up a High Definition Streaming Videoo feed for remote parties, Picture-in-Picture Live Video Capture, Video to Text Synchronization, and who can deliver the most technologically advanced deliverable available on a consistent basis. Then there’s the rest: coordinating schedules, finding a meeting room, and possibly hiring an interpreter which brings into play another round of searching and vetting. Maybe you’re looking to avoid a trial all together and require an alternative dispute resolution. Now you have to find qualified mediators. Discovery Litigation Services has all of that and more. We can take on as little or as much of the process as you want us to handle. Click “schedule a deposition”. Stop getting one-off services. Choose a comprehensive litigation support solution. 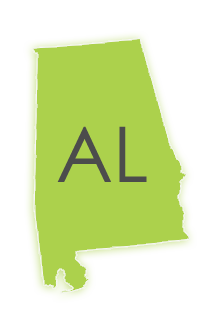 With our easy to use online scheduling, you’ll get a Real-Time Ready Alabama Court Reporter with Expedited Transcripts, and Free Video to Text Synchronization. The benefits don’t stop there. Discovery Litigation Services is your one-stop-shop for all legal and corporate needs. Discovery Litigation Services will provide a certified Alabama court reporter, trained legal videographer, and handle all of the complicated tech you might need. We can set up a high definition audio/video streaming feed, provide an Interpreter, and assign to your case a seasoned Document Review Attorney. We’ll build your staff up with Paralegals, Project Managers, Translators, Coders, pre-trial strategy consultants. Our experts will create your exhibit database, edit the video clips and load all data into a ready to go solution. We understand the importance of getting it done right. In our business, there is no margin for error. We can supply experts to assist in the courtroom, mediation or arbitration as an active member of your team. We provide high value solutions at affordable prices. Your online account gives you a portal to manage expenses and protect the bottom-line while getting the services you need. We’ll Even Book The Conference Room! You are a few clicks from Discovery Litigation Services handling all of the grunt work. You’ll have access to full service solutions at your fingertips. There is no deposition too remote to get the best Alabama court reporter available with the full-service solutions provided to you as a client of Discovery Litigation Services. Our video streaming-enabled court reporters are ready and waiting. Don’t limit your selection to a stunted rolodex. Start choosing from the best professionals regardless of your location. Discovery Litigation Services offers nationwide coverage for court reporting, videography, and trial presentation solutions.